Change can be undesirable. 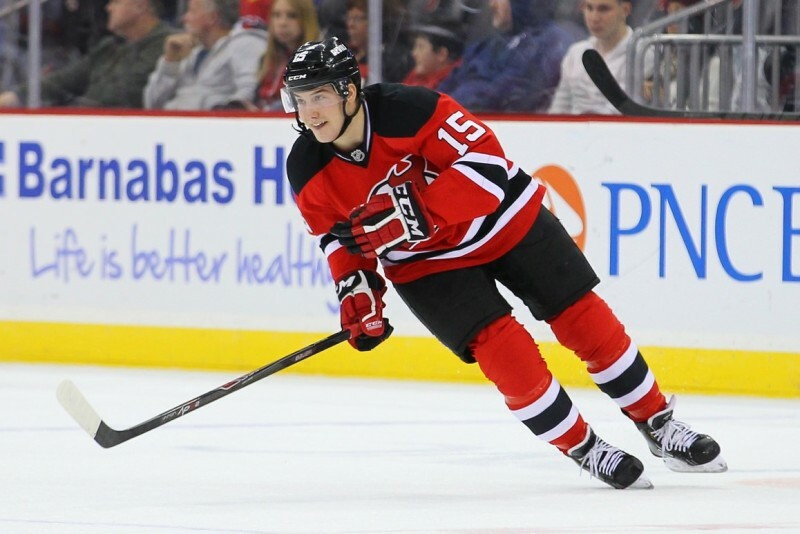 But for New Jersey Devils fans, change this time might be a good thing. The Devils are shifting from being one of the oldest teams in the National Hockey League to bringing in players that are defined by their potential rather than experience. However, as the Devils look to get younger, responsibilities, roles, and expectations have changed for certain players. That is not to say that these players need to be perfect but they do need to take the next step in their development and careers. Whether or not they are currently on the roster or expected to be next season, the Devils need these players to step up and make their presence felt. Forward Jacob Josefson could still be considered a mystery. Nonetheless, this year has to be the time he finally answers questions about what kind of player he will be. Josefson played a career high 62-games last season and produced 11-points during that stretch including six goals, most of which came on short-handed opportunities. He also was the team’s go-to-guy for shootouts and one of the biggest reasons New Jersey was able to overcome their rut. He has the individual skill and speed to be successful but he has yet to display a strong even strength game. The speed and attack style New Jersey is planning to implement under head coach John Hynes should highlight Josefson’s strengths and allow him to be creative because he needs to produce. Prior to last year, Josefson was in and out of lineup and it would be hard for any player, especially one attempting to develop his game, to find consistency. But for the first time in recent years, Josefson seemingly has a roster spot and role waiting for him coming into camp. He needs to build upon the positive things he displayed last year and continue to improve. Josefson is entering the final year of his contract and it is unclear whether New Jersey’s new front office will have the patience that former general manager Lou Lamoriello had with him. At this point, if Josefson struggles, it will be hard to point to the system since it will be completely different from what he previously played. It will be hard to point to the coaching staff since he has played for numerous coaches. Bluntly, it will simply come down to him. Forward Stefan Matteau is facing different expectations than Josefson. Matteau could put pucks into the back of the net and he will. But for right now in the immediate future it is hard to envision him being anything close to a 20-goal scorer. As a rookie, Matteau played in 17-games during the shortened lockout year and then returned to Albany. He did not see game action again in New Jersey until this past season when he played in seven games and finished with one goal and two assists. Matteau is expected to be on the roster opening night. While the Devils need goal scoring, the prospect will have to play to his own strengths and fulfill a specific role on the team to optimize his value and spot on the roster. His presence on the ice needs to be felt and seen through his physicality. The Devils need his grit and his ability to throw around his 220 lbs. frame on the ice. It would be to New Jersey’s benefit to inject more physicality into the team’s game. Forward Reid Boucher is arguably one of the team’s most hyped prospects. New Jersey’s fourth round pick in 2011, made quite a name for himself when he broke NHL superstar Steven Stamkos’ scoring record with the Sarnia Sting. Nevertheless, the record has been a double-edged sword for Boucher. While it is an amazing accomplishment, it has also completely blurred the expectations surrounding the 21-year-old. 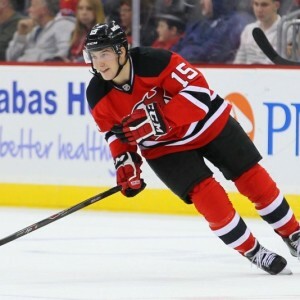 Even though he has yet to find himself a permanent home on the team’s roster, he has made appearances with the Devils including a 23-game stint during the 2013-14 season and played in 11-games at the end of last year. During those appearances fans have seen glimpses of what Boucher will provide on the ice. He seems to be in opportunistic positions, which is typical for a goal scorer. Additionally, he has a quick shot but capitalizing on opportunities seems to be a hindrance for him. As the Devils struggle to find reliable goal scoring, Boucher’s potential role on the team is magnified and even more important. In 34-games with New Jersey, Boucher has eight points (3-5-8). He has said the new system should benefit his game but by no means is he guaranteed to be on the team next season. He very well could end up back in Albany where he got off to a shaky start last year. If Boucher is not on the roster opening night, it will not be a big set back. However, if he is not with the team by midseason or even a lock to be called up, it will raise a few questions. Defenseman Seth Helgeson will be competing for the final spot on New Jersey’s defensive unit. He is not a stranger to the Devils. He played 22-games last year and looked decent during that stretch. Even if Helgeson makes the team, chances are he will be the odd man out on many nights. Nevertheless at this point, that would be good for him because the door to join New Jersey’s defensive unit is beginning to close. That is not a reflection of Helgeson’s play or development but rather the team’s defensive pipeline of players who are looking for a spot or going to be coming up within the next few years, particularly Boston College standout Steve Santini. If Helgeson does not get a roster spot this season, his future in New Jersey, regardless of his new two-year deal will begin to look less promising. Defenseman Eric Gelinas may seem like an interesting choice to be on this list, especially considering his two counterparts Damon Severson and Jon Merrill are not. Gelinas’ presence is felt on the ice and in every rink when he winds up for his booming slap shot. Not to mention he is a lineup regular. The reason he is on the list though is because he could benefit the most from the new aggressive system. Gelinas is an offensive defenseman. His instinct is to pinch in and he does not have a problem carrying the puck into the zone. Gelinas has great potential and upside. But as previously discussed, his defensive game needs some fine-tuning. If he can grow his game and clean up certain aspects of it, he can be the premier defenseman the Devils want him to be, especially in a fast-paced, attacking system. Unless anything unforeseen happens, after re-signing a two-year deal that will still leave him as Devils’ property once it expires, Gelinas is going to be an important player in New Jersey for years to come. His presence is beneficial on both the defensive side and his ability to bury the puck in the net from the blue line. Forward Pavel Zacha, New Jersey’s first round pick in this year’s NHL Entry Draft, will have a chance to make the team during training camp in September. The Devils will not rush him though if the coaches do not feel he is ready to be a fulltime player and that would be acceptable. Nonetheless, it is no secret that Zacha has the skillset that the Devils want in the lineup. If he can show that he is capable of playing for New Jersey next season, it would be the best-case scenario for the Devils. No one likes his or her team picking early in the draft. In most cases, it symbolizes a losing season. But whenever a team’s first round draft pick can come in and produce right away, it softens the blow and everyone wins.